I have this thing with weddings…. Am I incurably romantic? Maybe. Or…. maybe, I’m missing organizing my Princess’ wedding. Last Year, I looked on every wedding site there is on the internet, to seek inspiration to decorate my daughter’s wedding. Weddings always seem to me like a fairytale. Since Christmas time is a joyful and magical time of year, and full of Christmas fairytale stories, I tried to imagine a wedding at Christmas time. And here it is! 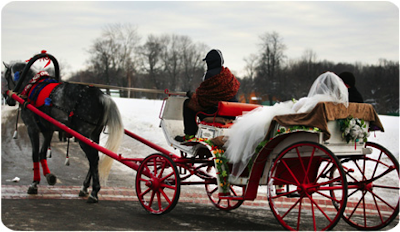 Isn’t it lovely and yet, so different from weddings we usually have in mind? 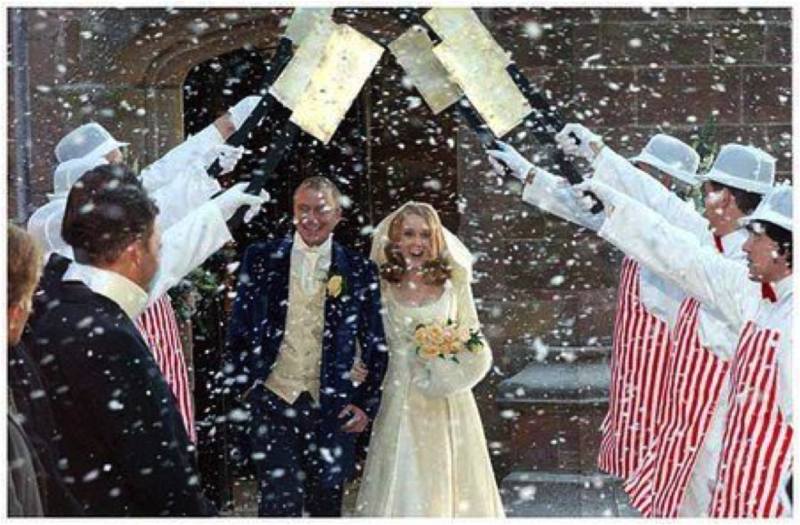 Enjoy these Christmas wedding ideas to get inspired, give you ideas, or just daydream about a gorgeous fairytale wedding at Christmas time! Christmas time has always had a mystical magic about it, and when paired with a couple’s most memorable event of their life, a wedding, who doesn’t love a Christmas wedding? A color palette of red, green, white are fitting for the day. 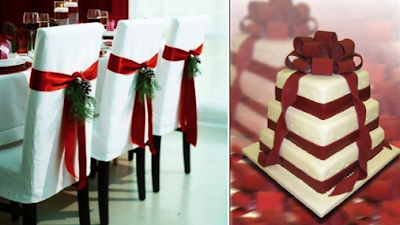 From the floral decorations of the church, the wedding parties attire, to the reception decor, the colors of the season can be infused everywhere. Poinsettias, holly, evergreen sprigs, and pinecones are all beautiful natural elements to carry out the Christmas theme. The reception is the perfect place to go all out with color, and glamorous accents. Infuse color into the dining tables with bright flowers in varying hues of color to add depth and richness to the tablescape. Shiny Christmas ornaments on each setting make for beautiful favors to take home to remember the gorgeous holiday event, and adds sparkle to each guests seat. The beauty of weddings is the attention to details that pull the entire event off as one glorious event. Let the Christmas theme start with crimson red invitations to greet your guests in their mailbox! They will already know what a festive holiday event this will be from the very first detail to grace their home. Christmas time is also the perfect time to infuse creativity of the season. From a Santa’s hat shaped container for the flower girl to carry down the aisle, to playful candy striped attire to welcome the new couple into the world, play up the whimiscal and festive nature of a Christmas wedding. Let’s not forget the glamous appeal of the wedding attire. 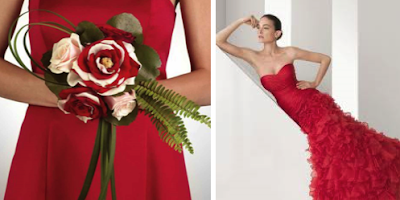 From the bride, and her court to the Groom and his men, red is definitely in order for a Christmas wedding. Any other time of the year, red could be looked at as too powerful for a wedding, but for the holidays, its fitting, gorgeous and expected! Coordinated with the bride’s bouquet, the boutonnieres, and the floral arrangements, bring out the colors of the season with holiday glam. 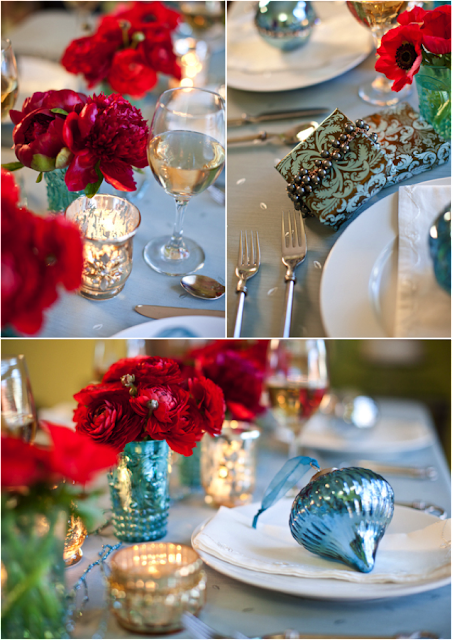 Holiday weddings are gorgeous, and especially those at Christmas! 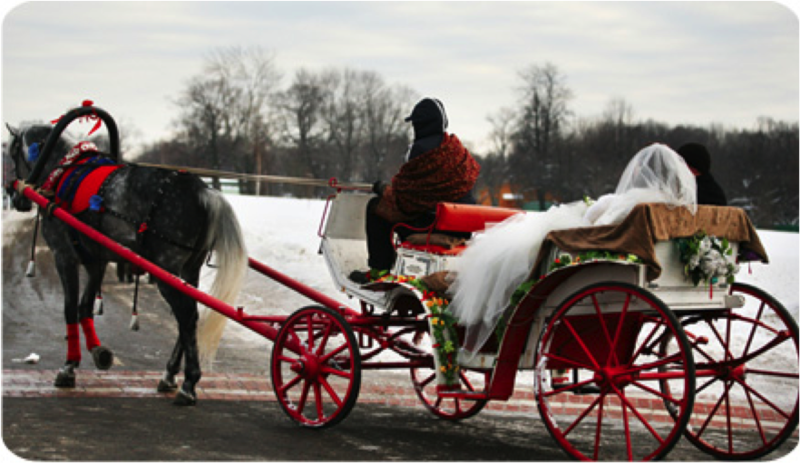 With the couple living out a magical time of year, and the guests wanting to celebrate alongside with them, Christmas makes for the perfect time of year for a wedding. If you’re planning a wedding, use these inspiring ideas, and if any of you attend a Christmas wedding, share with us some of the gorgeous ideas, to add on to these! 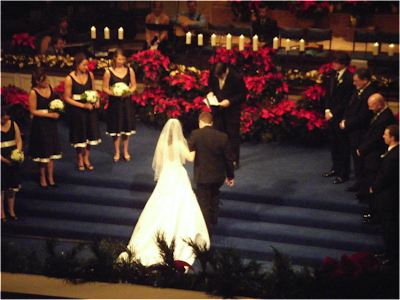 Christmas weddings are always special. It is even more romantic along with the joyful spirit of the Holidays. FEELING LIKE A KID AGAIN!